The NRL has announced salary cap breaches in 2010 against the Wests Tigers, the Gold Coast Titans, the St George Illawarra Dragons, the Parramatta Eels and the Canberra Raiders following the completion of audits for the 2010 season. The largest breach notice is in relation to the Wests Tigers, who claimed a ‘long serving player allowance’ contrary to advice from the salary cap audit team – attracting a fine of $187,140. The remaining breaches across the other four clubs were around technicalities of the use of second tier players and how payments for education, accommodation and terminations were made by clubs. The NRL also announced that final findings of the Melbourne Storm salary cap scandal investigations, with no new penalties or infringements detailed. 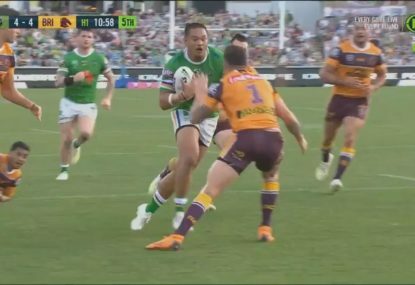 The breaches led to the Storm being stripped of three NRL competition titles, prizemoney and fined $500,000. “The compliance across the vast majority of clubs has been encouraging but the penalties are a reminder that the Salary Cap will be enforced,” NRL Chief Executive, David Gallop, said today. “Six clubs were breached last year, most notably the Storm. It is pleasing to see the number down this year but the warning bells for anyone looking to break the rules could not be any louder. “For the most part we are seeing a genuine wish to comply with the rules from the clubs but this remains an area in which we are always conducting thorough investigations. The Titans have also been breached a further $2,500 for failing to properly register a Toyota Cup player. 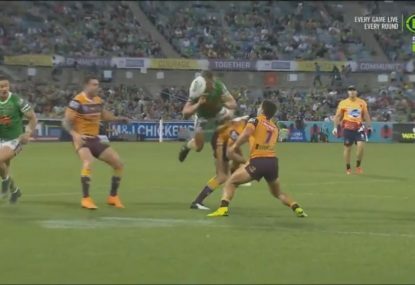 All clubs will have until Friday, May 20, to make submissions to the NRL chief executive in relation to the breaches before any penalties are imposed. “Wests Tigers has always supported the NRL Salary Cap principles and rules. We believe that the objective of equality amongst Clubs is fundamental to the strength and competitiveness of the NRL Telstra Premiership. “We also respect the need for Salary Cap compliance to be closely monitored and managed by the NRL. Can Canberra be Melbourne's biggest challenger in 2019? The Melbourne Storm are the only team to remain undefeated after five rounds of the NRL and they look almost unstoppable heading into a grand final rematch against the Sydney Roosters at AAMI Park on Friday night. 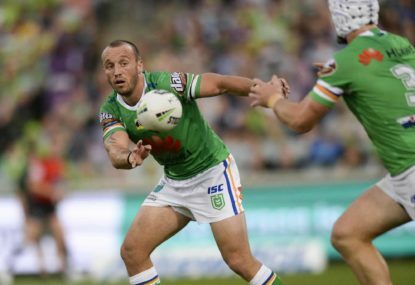 No one had an inkling five years ago that in 2019 the Canberra Raiders forward pack would be almost as English as pork pies or putting a ‘brew on’ when you come home after a night on the pints. 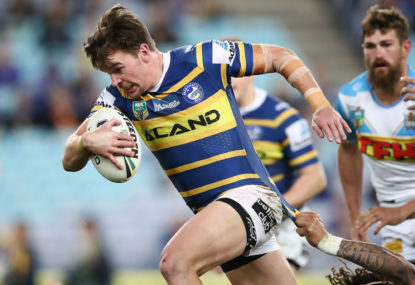 Last night the Parramatta Eels validated the performances with which they had teased the NRL competition over the opening two rounds in a 32-18 loss to the Roosters at ANZ Stadium.